Oil for kneading the dough and roasting the parathas. Combine all the ingredients and prepare a soft dough. Add water if required ( Use drained water from blanched spinach). Cover it with a damp cloth and set it aside for atleast 30 minutes. Later roll parathas using some flour to dust. Roast them till they are evenly cooked from both sides. Apply some oil/ghee while roasting. * To prepare spinach puree – Wash spinach leaves and blanch them for 2-3 minutes in boiling water. 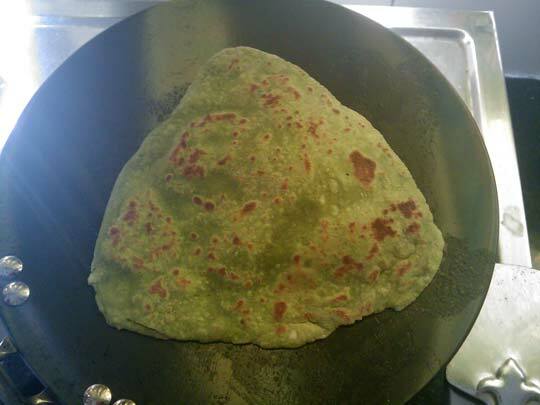 Do not overcook as they will lose the fresh green color. Drain all the water, let them cool down and then grind to a smooth puree. Add drained water if required. Do not throw away the drained water, use it in some other recipe like dal or curry. 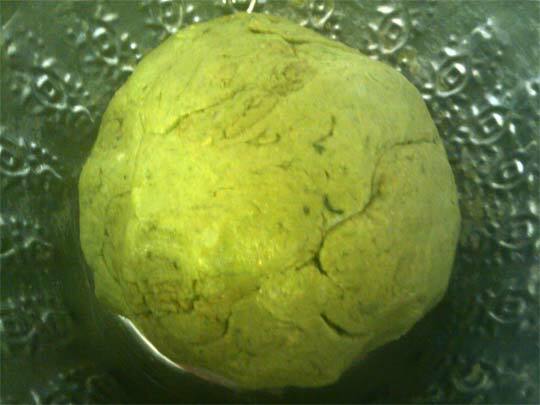 Use spinach puree in kofta curry or non-veg recipes. 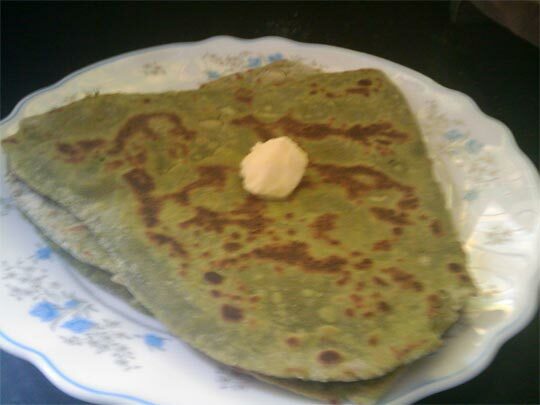 You can use leftover palak sabji, aloo palak, palak paneer, or any other palak recipe to prepare these parathas. Just add flour to it, adjust seasonings and knead dough with it. They taste awesome.